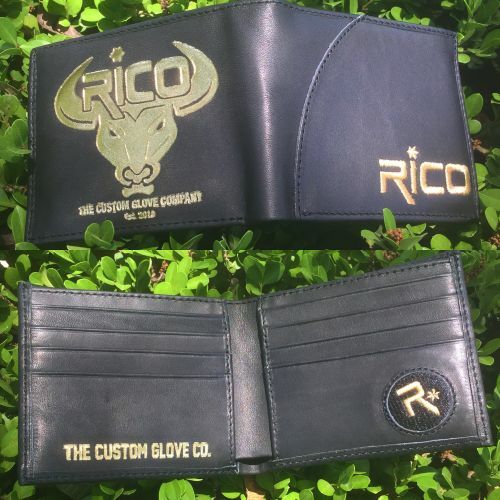 * Gold Foil Stamp of The Custom Glove Co. logo inside wallet. * Recessed R* logo inside wallet. First Class Designed in USA.